Contact Little Legs Rescue - Cat Coordinator at Little Legs Dog & Cat Rescue Qld Inc to express your interest. 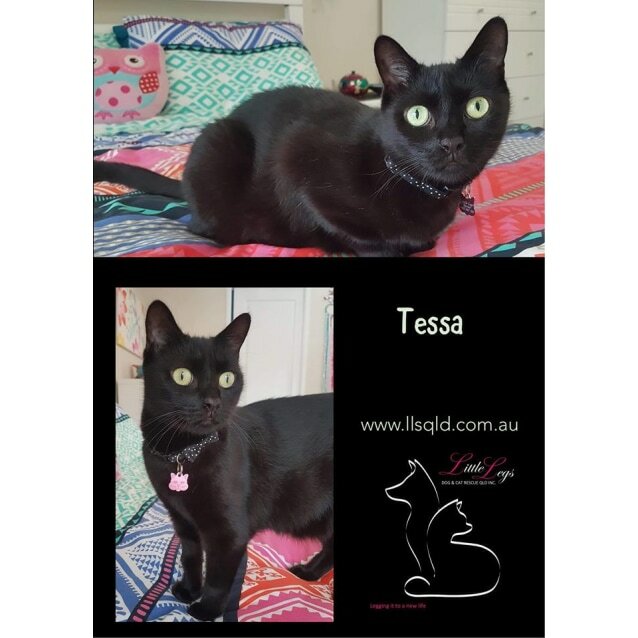 Tessa is a stunning girl who is very affectionate once she warms to you. She will need an owner with patience to help her settle into her new home. She is best suited to a pet free home or with a submissive cat. Tessa was surrendered due to no fault of her own, and is waiting for her forever family. 🐱 All cats leave our care fully vetted and have a trial period of two weeks.